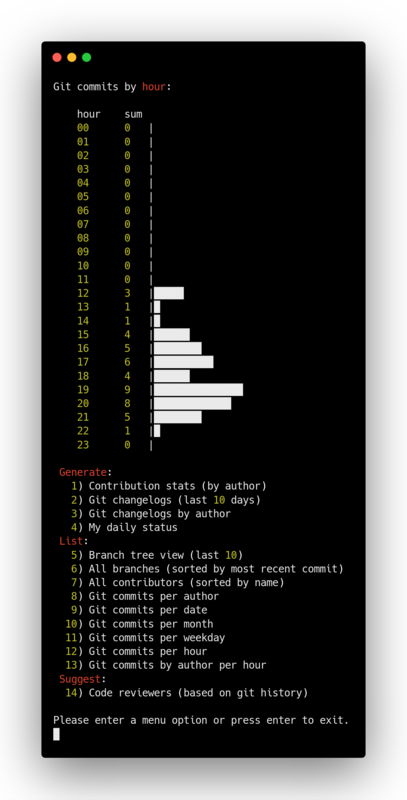 GitHub - arzzen/git-quick-stats: ▁▅▆▃▅ Git quick statistics is a simple and efficient way to access various statistics in git repository. Want to be notified of new releases in arzzen/git-quick-stats? 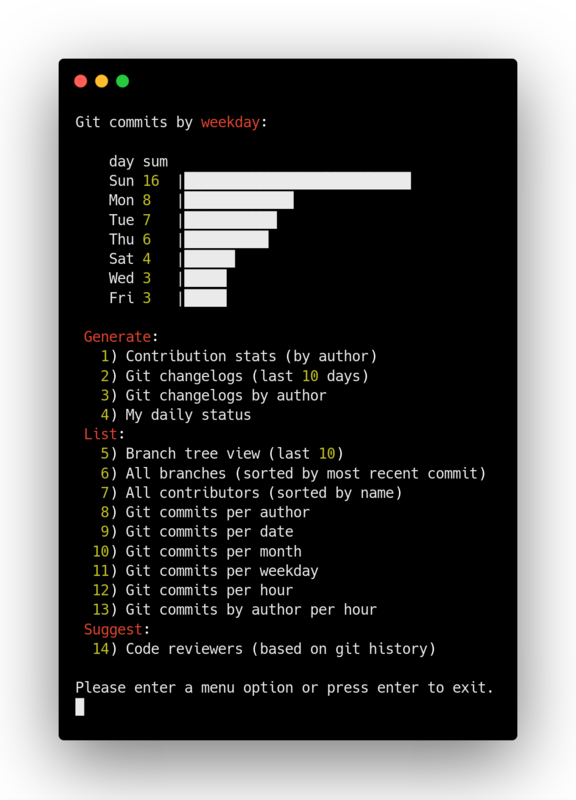 git-quick-stats is a simple and efficient way to access various statistics in git repository. 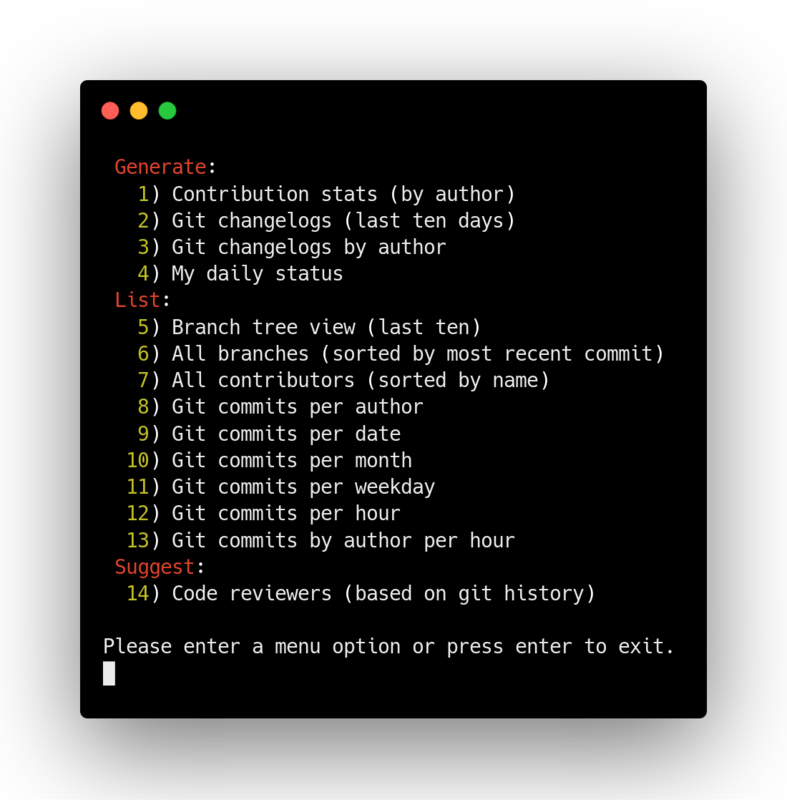 Any git repository contains tons of information about commits, contributors, and files. Extracting this information is not always trivial, mostly because of a gadzillion options to a gadzillion git commands – I don’t think there is a single person alive who knows them all. Probably not even Linus Torvalds himself :). A: You can run dos2unix app in cygwin /bin/dos2unix.exe /usr/local/bin/git-quick-stats. This will convert it to Unix format and you then should be able to run it. Want to contribute? Great! First, read this page. All submissions, including submissions by project members, require review. We use Github pull requests for this purpose. When in doubt, try to stay true to the existing code of the project. Write a descriptive commit message. What problem are you solving and what are the consequences? Where and what did you test? Some good tips: here and here. If your PR consists of multiple commits which are successive improvements / fixes to your first commit, consider squashing them into a single commit (git rebase -i) such that your PR is a single commit on top of the current HEAD. This make reviewing the code so much easier, and our history more readable. This documentation is written using standard markdown syntax. Please submit your changes using the same syntax. MIT see LICENSE for the full license text.